More sophisticated than an ordinary pizzeria, Chez Carl pizza is successful with its professional clientele on Nuns’ Island. 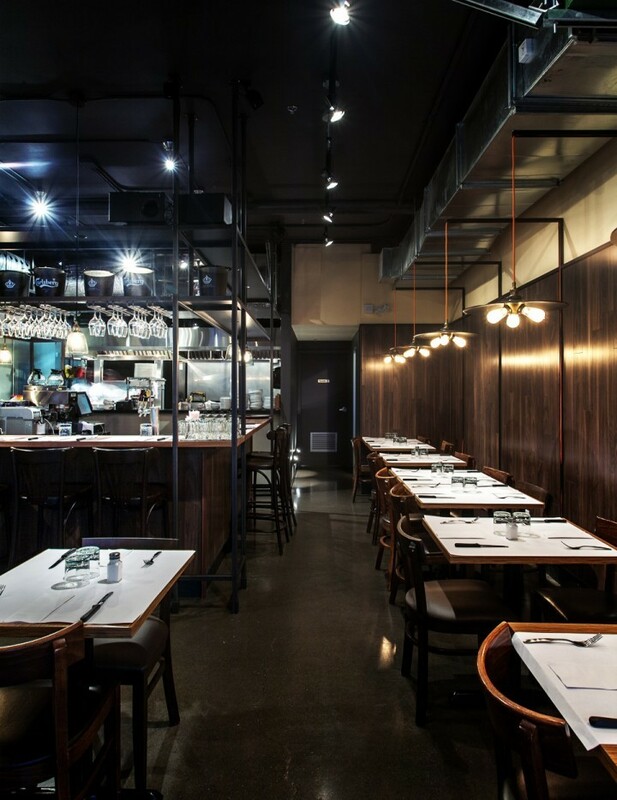 A simple restaurant interior design project, the space covering more than 2,000 sq. ft. has taken on the look of an urban bistro. Our design gives room to the raw material: concrete and steel give an industrial look. 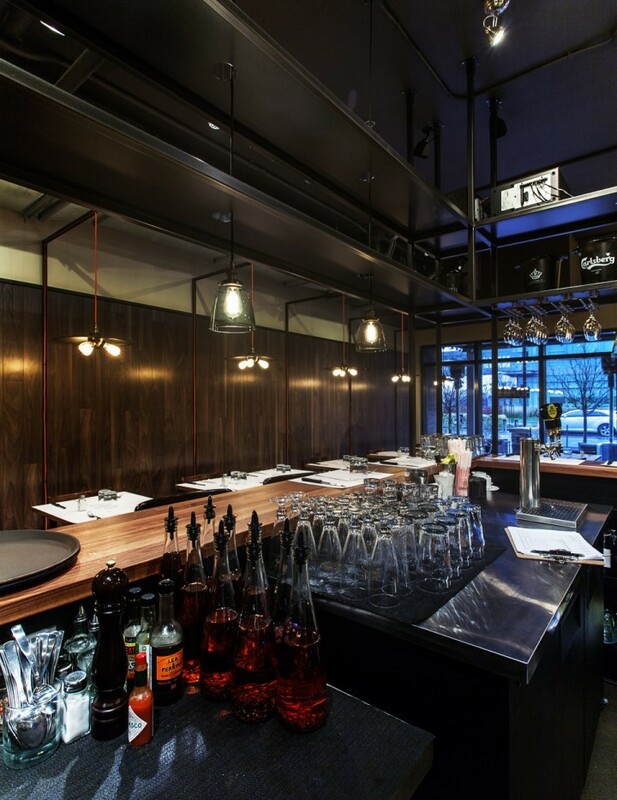 The steel structures the interior layout and rigorously defines the bar counter in the space. As utilitarian as it is aesthetic, the latter gives a rougher appearance to the place. The steel emphasizes a certain parallelism of the circulation axes and of the architectural and decorative elements, such as the ventilation duct and the seats it hangs over. The custom steel lighting system is also ingenious: each fixture is suspended from a profile that conceals the wiring and extends perpendicularly along the chic walnut panelling. This is an effective and decorative way to enhance a concept in which no gesture is useless.